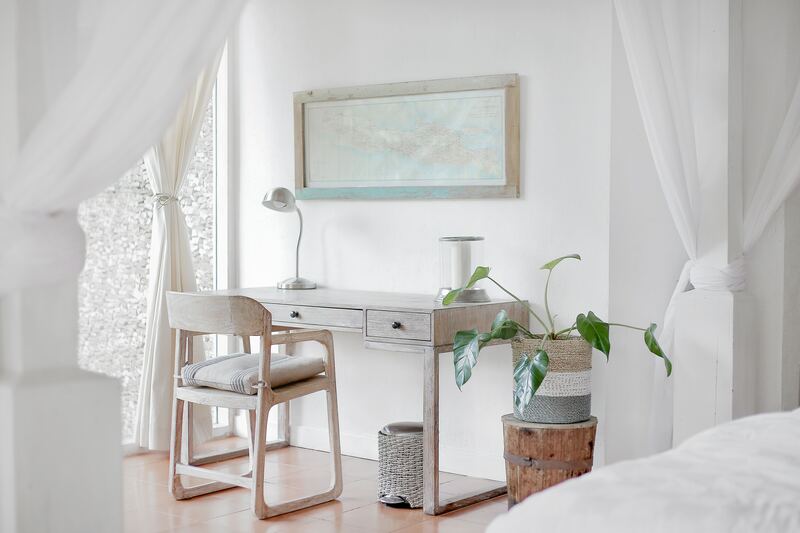 So I’ve collaborated with Boxcitement again and was sent their May Boxcitement to review, plus they are giving my readers and followers a chance to win a Boxcitement so make sure to read to the end to find out how to enter the Giveaway! I love the Cutie Fruity theme of Mays box! It’s so fun and summery. Love all the bright colourful items inside it. If you’ve not heard of Boxcitement you can check out my previous review of their January box here. Everything that goes into each box each month is made exclusively for and by Boxcitement, so it’s all unique to them. They always put together such a well-balanced, fun box of quality items for us to enjoy. Each month they consistently come up with such great themes too! You never know what you’re going to get – but that’s the exciting part and that’s why Boxcitement is such a perfect name for this fantastic box! As you can see, it was packed full and it was a real pop of colour and fun that you are greeted with! 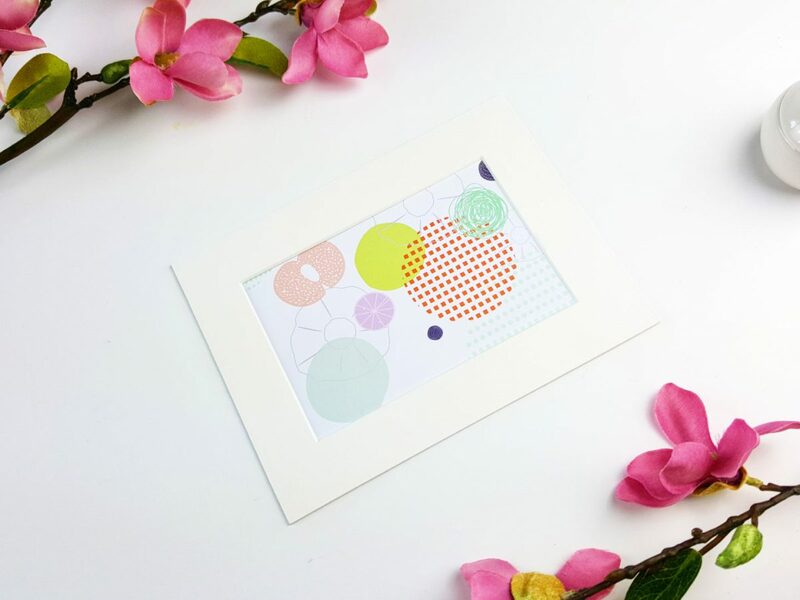 There are these really bright, summery fun greeting cards; perfectly co-ordinating with the fruity theme for this May Boxcitement. 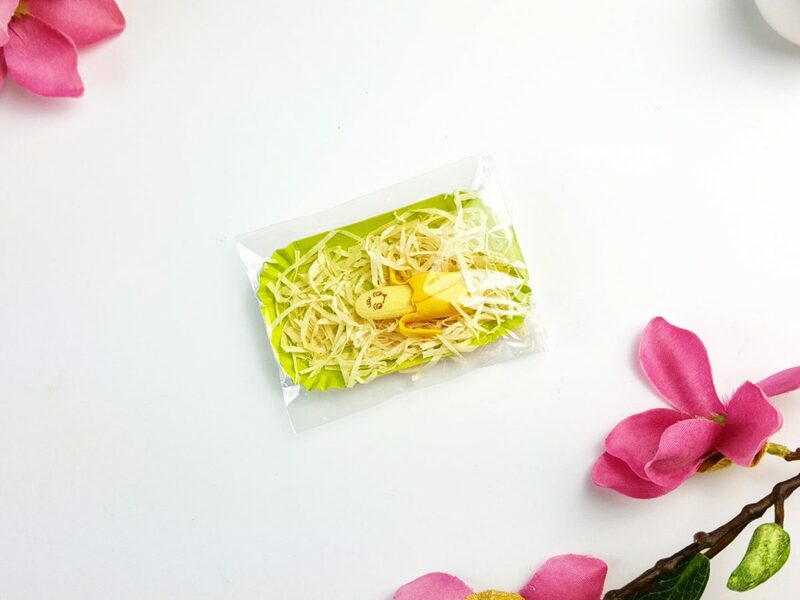 A cute and quirky banana eraser in a basket! Just look at that banana face! How adorable is it!? I love the melon design on this fridge magnet and it’s a really decent size too! 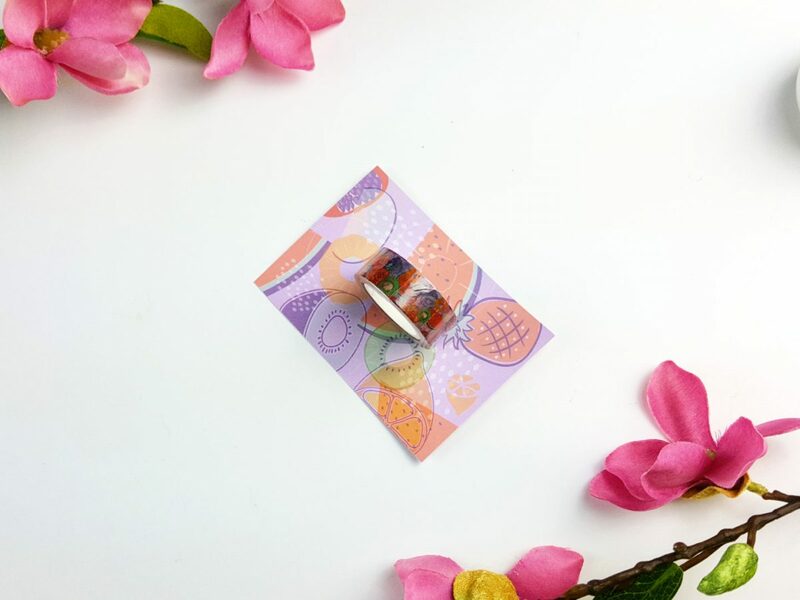 It’s fun and magnets always come in handy, especially bigger ones that you know are going to actually hold stuff to the fridge without falling off! This set of fun coasters, straws and recipe card are just perfect for the summer. The coaster design is really fun and hey, why would you not party like a pineapple?! The recipes for the three drinks sound really yummy too. Must try those out! Stickers! Fun, colourful and fruity! As someone who loves her Happy Planner, stickers always come in handy – also perfect for me as I just had my new 2017-2018 Happy Planner and I had the tropical one, so these fit more than perfectly with it! I don’t wear jewellery at all but I do love this design. Alternatively, this could easily be made into a bookmark/charm, bag charm or planner charm, which I might do because I do love it, just I wouldn’t wear it as it’s intended to be worn. Oh, how I love me some washi tape. A perfectly fruity one too. I’m loving the mixture of colours and fruits on this design. So fun! 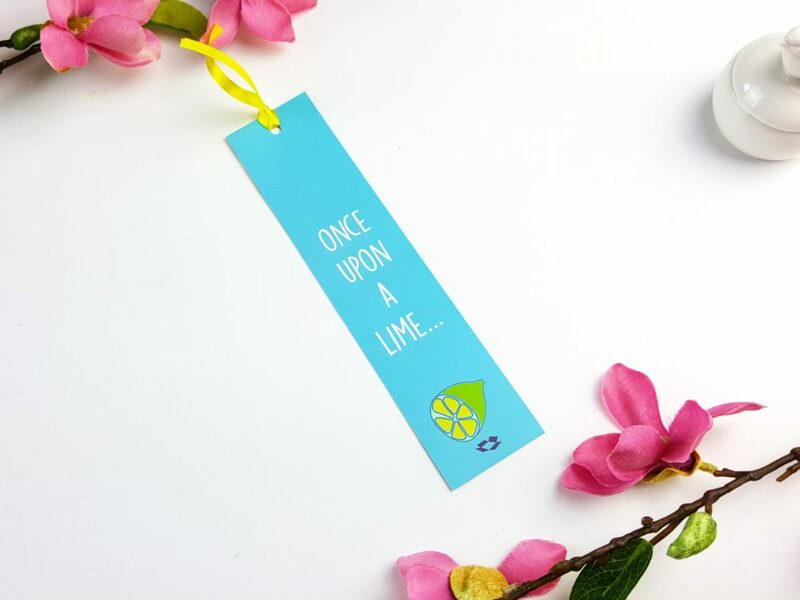 This bright turquoise bookmark with the quote ‘Once upon a lime…’ Love this, it’s so much fun! My daughter is an avid reader and pinched this as soon as she saw it! Last but not least is this really pretty mounted print. I really love this and I like the different use of patterns to represent the fruit. It’s still colourful even though there are some pastel tones in it. 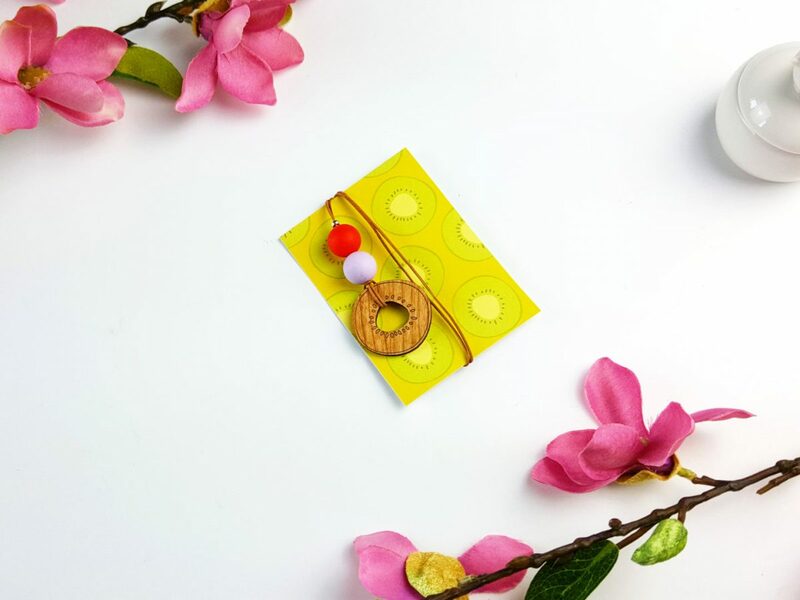 I absolutely loved the Cutie Fruity May Boxcitement theme and all the contents. It’s just such a fun, colourful box that you can’t help but smile at it when opening it. Everything was beautifully co-ordinated and the whole theme was just perfect for summer. You really couldn’t get much more cute and fruity than this box! How Much Does Boxcitement Cost? The price of the Boxcitement subscription ranges from £15.00 – £18.00 depending on the length of subscription. All subscriptions are inclusive of post & packing. If you use the discount code: FIRSTBOX you can get 10% discount off a month subscription! Where Can I Subscribe to Boxcitement? Boxcitment have very generously donated one of their Boxcitement subscription boxes for my readers and followers to win. Just use the Rafflecopter below to enter. RULES & TERMS & CONDITIONS. This competition will run simultaneously on my blog, Instagram & Twitter and the entrants will all be combined together. You can enter this competition on any or all of the following platforms: Rafflecopter on this post, Instagram & Twitter. If entering by Rafflecopter on my blog, please follow the requirements. If entering on Twitter, you must follow or be following @lilmizz_stake & @boxcitement and retweet the pinned Giveaway tweet. Winner will be chosen at random by a random name generator. The Boxcitement box will be sent to the winners address by Boxcitement. Winner will be disqualified if they do not follow ALL the rules and another winner will be randomly chosen. Entrants must be over 18 yrs old. This competition is not affiliated with Twitter or Instagram.